How to Combine Style, Functionality and Cost for Lounge Seating. Recent budget cutbacks have reminded purchasers that there is still truth in the “you get what you pay for” adage. Buying quality furniture creates a longer buying cycle thereby minimizing the need for cash for future furniture projects – especially those needed to satisfy state and local codes and health standards. When trying to combine style, functionality and cost, what are you real options? 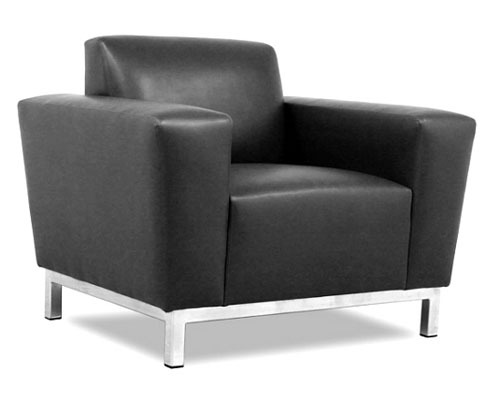 Here are our top 5 picks for best lounge seating styles for healthcare environment. 1. Fully upholstered seating pieces with contemporary styling. Fully upholstered seating is a winner for providing comfort and ensuring that acute care facilities provide a home-like therapeutic environment. Contemporary styling blends well with almost any color scheme. Its straight lines, lower profile, and lower loft foam makes it a natural fit for limited mobility concerns. options. Combining either free standing or ganging seat options can create an expansive seating area well-suited to all sizes of people. Metal frame options with upholstery and wood accents are slim and ultra stylish but durable enough to hold up to 750 pounds (bariatric versions). 3. Crate-style seating with replaceable upholstered cushions. Now updated with a catalyzed lacquer, crate-style no longer looks rustic. Well finished stains on solid wood frames are super-durable and stylishly satisfying. The best part is that upholstered cushions can be made in any upholstery fabric from the most basic to the most design-forward to go with any décor. Cushions can even be traded out seasonally to keep a fresh look that compliments the time of year. 4. Upholstered seating with pop-out seats. As strange as it may sound, removable seats have become a popular new trend in seating for health care environments. Wood-based seat decks completely finished with springs, foam and upholstery can be removed as a whole unit from the furniture frame allowing a completely open, seatless frame. With this feature, care givers can easily clean spills and fluid from both the seat and floor. The seat design aids in pooling fluids towards the floor so that once removed, a mop can easily be used to clean the floor without having to move the entire seating piece. 5. Sectional seating. A timeless favorite for maximizing comfort and functionality, sectional seating is popular again in health care environments. Chaise lounge sections combined with standard sofa sections is a popular configuration that creates an inviting environment. Patients and clients can relax and fully engage in therapy and activities when comfortably positioned with their feet up.